Niantic Bay Sailing Academy is a 501(c)3 Corporation. Summer 2019 Junior Sailing Schedule Out! Check out the Youth Sailing page for our hotly anticipated summer 2019 junior sailing schedule! Stay tuned for our adult sailing offerings for next summer! Posted on December 30, 2018 January 3, 2019 Leave a comment on Summer 2019 Junior Sailing Schedule Out! NBSA Reflections on a Great 2018! If you saw the activity at NBYC this summer, you know that the Niantic Bay Sailing Academy is stronger and more robust than ever. This year, over 100 children and adults participated in our sailing programs. NBSA’s mission is to strengthen our sailing programs, foster a love and dedication to sailing with the NBYC membership and in our local communities while teaching environmental stewardship. Since its inception, NBSA has delivered on its goals. This year’s program saw participation from all skill levels – beginner boot camps to youth racing programs to adult sailing instruction. Whether in Optimists, Blue Jays, 420’s or Ensigns, sailors of all ages and abilities were out on the water learning, competing, and having fun. Clearly, the influx of new sailors we saw this past year bodes well for the future. NBSA was represented in many Eastern CT Sailing Association (ECSA) events and beyond. NBSA sailors placed 1st and 2nd in the Larry White Regatta. The 420 class at the same event was also won by NBSA sailors, which qualified them to represent ECSA at the Midget Championships; NBSA sailors also sailed in the highly competitive Club 420 New England Championships finishing 15th out of 72 sailors. While we are proud of these racing achievements, the skills and values learned are more valuable than winning on the race course. NBSA is 100% funded by program fees and by tax-deductible donations. Through these generous donations, we were able to offer sailing scholarships to fourteen youth who would not otherwise have had this opportunity. We also focused more on environmental stewardship and protecting the waters we enjoy each time we sail. We are excited to add a new boat to our youth program next year, the RS Feva. This cutting edge double-handed boat is a stepping stone for many kids moving up from the Optimist but not yet ready for the 420. We would like to purchase two of these for use in lessons next summer. Check out www.rssailing.com for more information about these boats! Thanks to all our students, instructors, donors, and everyone else who made such a great 2018 possible for Niantic Bay Sailing Academy. Looking forward to more exciting opportunities for youth and adult sailing in 2019! Posted on December 30, 2018 Leave a comment on NBSA Reflections on a Great 2018! We are pleased to present to you the 2018 Junior Sailing instructors. Each brings a different skill set and background to the job and are all passionate about sailing and excited to be on the NBSA team! James Sowa has instructed at NBYC for the past two years. In 2014, James worked as a sailing instructor at Pettipaug Sailing Academy. James will be a senior at Wake Forest University studying Mathematical Business and Physics. He will also be spending his fall 2018 semester abroad in Barcelona, Spain. While at Wake Forest, he and two of his classmates created the Wake Forest Club Sailing Team where he currently serves as the Co-President and Chief Safety Officer. James has been involved with sailing his entire life and started in Optimists before advancing to 420’s and Lasers. 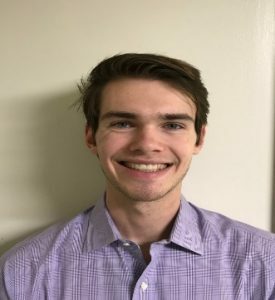 As a junior sailor, he competed in various regattas including the Atlantic Coast Championship, Opti New England’s, Buzzards Bay, and the U.S. Junior Sailing Championship Sear’s Cup. James has both his level 1 and level 2 U.S. Sailing instructor certifications. In his free time, James also enjoys playing golf and basketball and sailing with his dad on his Henderson 30. James is looking forward to a very fun and successful summer. As Head Instructor, James should be your first point of contact. Reach him at Jamessowa40@gmail.com or 860-899-5576. Emmet Smith grew up sailing on his grandfathers’ keelboats—one had a Cal 40 and the other had a Tripp 37. He learned to sail Optimists at the Milford Yacht Club and later worked as a junior instructor at Sail New Haven. As a freshman, he was the Division A crew at Tulane University, and transferred to Yale as a sophomore where he was on the 2009 Fowle Trophy-winning race team.​ After college, Emmet won the 2009 US Sailing Team Racing National Championship/Hinman Trophy crewing for Zach Brown as part of Team Extreme, which was recruited to join the New York Yacht Club, and went on to finish first in the 2010 and 2011 Wilson ​Trophy, as well as the 2012 Hinman ​Trophy. Emmet also sails in the Off Soundings as main trimmer and tactician on his father’s Frers 33, which won the ECSA overall trophy and qualified for the US Sailing National Offshore Championships hosted by the Naval Academy in 2017. In addition, he crews in the 29er class and finished third at CORK 2017 in Kingston, Ontario. To stay in shape off the racecourse, Emmet enjoys inline speed skating and indoor rock climbing. 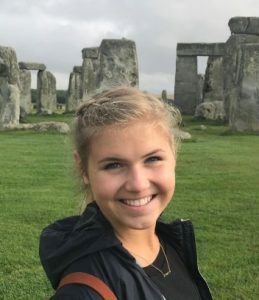 Caroline graduated from East Lyme High School this June where she was an Honors student and Captain of the school’s Varsity Field Hockey and Lacrosse teams. 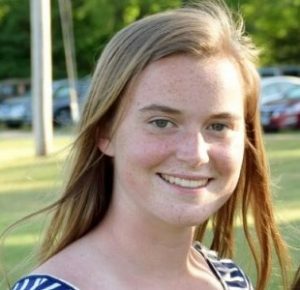 Next fall Caroline will be attending Saint Anselm’s College where she will be studying nursing. She grew up sailing in Niantic, competed in Optimists and 420, and represented NBYC/NBSA in San Diego at the Sears Cup. She is the product of the Niantic Bay Sailing Academy. Caroline will be the morning and afternoon instructor for beginner and intermediate sailors in Optimists, Blue Jays and 420’s. Caroline spent the past summers competing in 420 regattas. She completed more than 150 hours of Junior Instructing hours here at NBYC and was an instructor here last season. Parker is a high school graduate from Portsmouth, Rhode Island. He has been sailing since the age of six in a variety of boats. Parker spent the last few years racing all over the youth sailing circuit and has competed in several events at the national level. 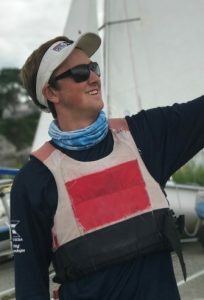 He currently competes on the Portsmouth HS sailing team, races in Newport Laser Fleet 413, and plans to travel to Greece for the Lightning Youth Worlds in July. 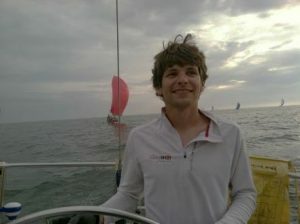 He is a lifelong member of Niantic Bay Yacht Club and has experience teaching sailing to a wide range of skill levels. 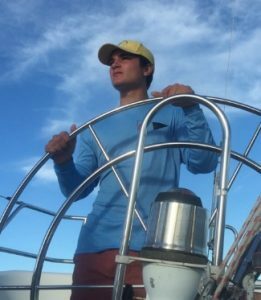 With one year at NBSA under his belt, Parker is excited to return for another fantastic summer of sailing on Niantic Bay. 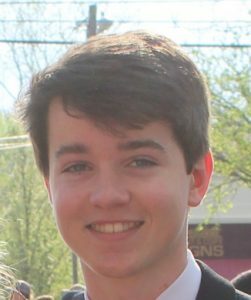 Duncan Manthous will be a senior at East Lyme High School in the fall, and he has been sailing in Niantic since the first grade. He is a veteran of many Opti and 420 regattas and is a past winner of the Robert Wylie and Harriet Dower Trophies at NBYC. More recently he has moved into Lasers and last summer skippered to his first ECSA win at the Essex Cross Sound Challenge in his family’s “big boat.” He has taught two seasons for the Old Black Point Sailing Program and is looking forward to his first season teaching with the NBSA. When not on the water, Duncan can be found on the soccer field. Abby Sowa started racing Optis when she was eight and turned to racing 420s when she was thirteen. She was on the Pettipaug 420 race team in 2014 and 2015 and the Niantic Bay race team in 2016. She competed at the ECSA All-stars Regatta in 2015 and 2016 where her team placed 3rd both years. Abby will be entering her senior year at Glastonbury High School where she is an honors student. She volunteered as a junior instructor at Pettipaug and Niantic for the past 3 years. Abby has been sailing her whole life and is a regular crew on her father’s Henderson 30. Abby has her Level One US Sailing instructor certification. Last summer Abby volunteered at Camp Sunrise where she gained experience working with special needs children. Abby enjoys running and playing the violin. She is excited for the summer ahead. Tim Guanci will be returning for his second summer instructing at Niantic Bay. He learned to sail and raced at Niantic Bay Yacht Club throughout his life. He started sailing Optis when he was seven then transitioned into racing 420’s. Tim skippered in the ECSA All-Stars regatta in 2016 where he and his team placed 3rd. Tim recently graduated from Glastonbury High School and will attend the College of the Holy Cross in the fall. He has his US Sailing level 1 certification. Along with sailing, Tim is a skiing instructor at Stratton Mountain in Vermont. He was also the captain of his high school ski team. Tim is excited about helping others enjoy sailing as much as he does. Format ImagePosted on June 28, 2018 Leave a comment on Meet Our Instructors!